What Will The Pound-For-Pound List Look Like In 2 Years? 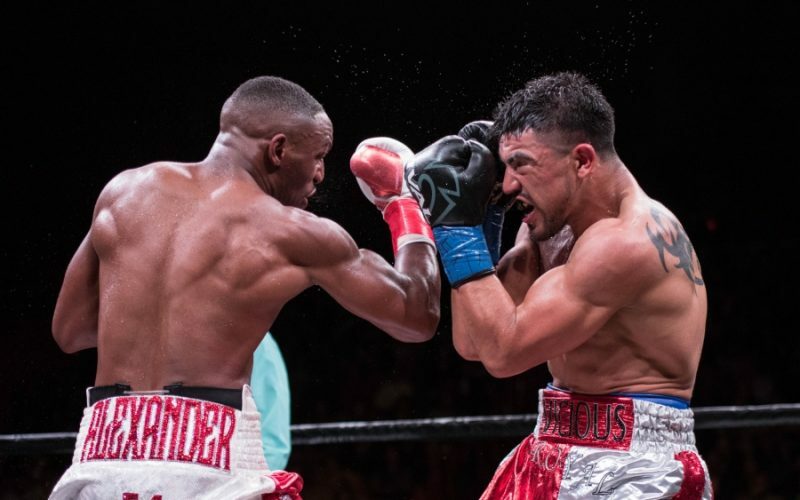 The future looks bright for the sport of boxing, and in my opinion, the pound-for-pound list has more talent on it now, then it did even a mere 2 years ago. So i thought to myself, if 2 years can make such a big difference, what will the pound-for-pound list look like 2 years from now in 2020. Well, it will definitely look very interesting for sure, with superstars moving up in weight class, and the constant resurgence of the Heavyweights. One heavyweight will actually make my list, even thought its kind of heard the believe. Now that 2 spots on the list are opened, and aren’t being taken up by dead weight (Floyd Mayweather & Manny Pacquiao) we have many opportunities for other fighters to earn a spot on the list. — I was on the fence about putting a heavyweight on here, but Wilder will defeat Anthony Joshua in 2018 or 2019. As for the rest of the Heavyweights, Wilder will keep blowing through them, and has a real chance at finishing his career with an undefeated record, due to being in a division with a lack of premier talent. — Even thought this is a low weight class, and punches are thrown by the dozens at a time, I still don’t see anyone matching this guys output. If he can KO Roman Gonzalez, he can KO everyone in the division. There are a few good fighters here, but no elite ones. I don’t see him moving up in weight either, so Sor Rungvisai is safe of this list. — This guy is the truth. There are doubters on him, but I’m completely sold. He just got in the ring with his toughest opponent to date, fought 5 rounds with a broken jaw, and won. Not only did he win, he made it look easier then it was. Valdez will keep climbing this list as other get older. — Win or lose against GGG in their rematch, Canelo stays on the list because he will have over 50 wins by age 30. That is simply unheard of these days, and he can beat anyone at 154 or 160 thats not named Gennady Golovkin. GGG also retires by this point. — His nickname should be “Poised.” This guy is a student of the game if we’ve ever seen one. Power and skills, with an extensive amateur pedigree. He’s Russian, thats all that needs to be said. Light Heavyweight is his! — Mikey drops slightly on the list but is still on it. He drops due to the fact that he’s always moving around in weight, while fighting the best possible opponents. I don’t think he will, but he could possibly take a loss somewhere along the way, simply because he’s just too damn brave. He also drops slightly by default, as other younger studs start moving up. He is safe on the list though. — Spence would be #2 on this list if it wasn’t for his eventual disputed loss to Terence Crawford. Whether it happens by 2020 or not, Crawford is arguably the best in the world, but Spence will defeat all other big names at Welterweight. — This guy is a monster. Lomachenko keeps moving up further in weight, so unfortunalty I don’t see Loma VS Inoue happening. Inoue can not only beat, but KO anyone in or around his eight class. — I’m getting heat for not having him number 1, but Loma will stay at number 2 at east for now. Crawford just wins too many belts, and that will be the difference. I don’t think they will ever fight each other, but Loma is going through weight classes like water, so it might be possible. So don’t consider Lomachenko #2, consider his #1A. — Terence Crawford will eventually do to 147, exactly what he did to 140. He will clean out the division, and will every belt yet again. This is what puts him slightly above Lomachenko, and is the difference between 1 & 2. Skill wise they are different, but even. Crawford however has that “unconscious state” that he goes in to. It almost like he’s not real, and he just wants to destroy your soul. He is simply the best in the world, but not by much.